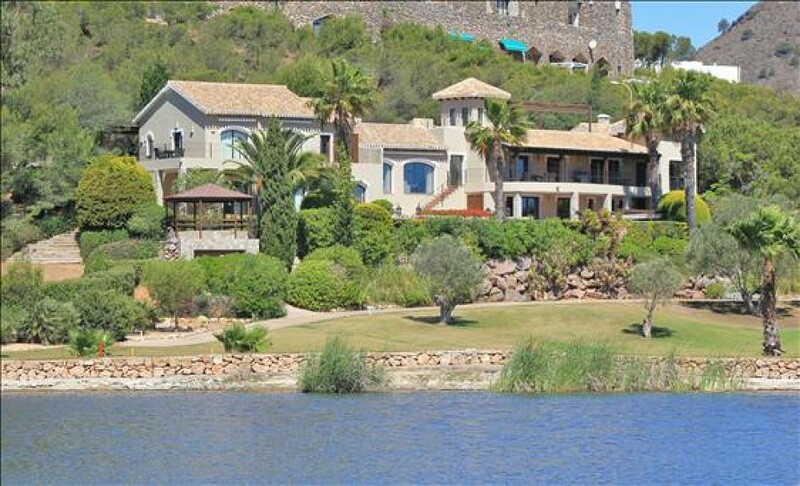 The Championship South Golf Course provides a spectacular backdrop to this wonderful Villa. All main living areas, master suite and guest accommodation have amazing views of the South Golf Course, Mar Menor Lagoon, Mediterranean Sea and mountains beyond. Built to the current owner’s personal specification the property is designed with two additional apartments which can be separate accommodation or incorporated into the main villa. A special feature of Villa Qualitair is an additional plot of land which is also front line to the fairway. This area of approximately 1,500 square metres presents an opportunity to add accommodation to the existing villa or develop a tennis court, guest accommodation or numerous alternatives. Euros shown @ 1.20 as a guide only. Vendor will negotiate in either currency.